SANTA CLARA, Calif., July 13, 2015 - Applied Materials, Inc. today announced a next-generation etch tool, the Applied Centris(TM) Sym3(TM) Etch system, featuring an entirely new chamber for atomic-level precision manufacturing. To overcome within-chip feature variations, the Centris Sym3 system leapfrogs current tools to provide chipmakers with the control and precision needed to pattern and create densely packed 3D structures in advanced memory and logic chips. "Drawing on over 20 years of etch learning and our expertise in precision materials removal, the Sym3 system represents a brand new design, built from the ground up, that solves persistent and impending industry challenges," said Dr. Raman Achutharaman, vice president and general manager of Applied's Etch business unit. "Customer traction has been remarkable, resulting in the fastest adoption rate we've seen for an etch tool in the company's history, with record ramp to production at leading-edge fabs." 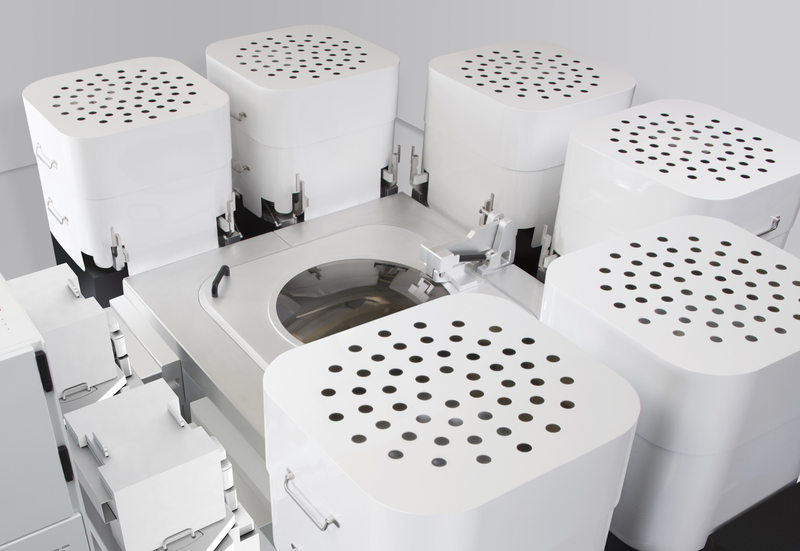 The Centris Sym3 etch chamber employs Applied's unique True Symmetry(TM) technology with multiple tuning controls for optimizing global process uniformity to the atomic level. Key to the design is a focus on controlling and removing etch byproducts, which are increasingly hampering within-chip patterning uniformity. The system mitigates byproduct re-deposition to overcome the challenges of line edge roughness, pattern loading and defects - issues that are becoming more limiting for each successive technology node. Combined with an advanced RF technology that controls ion energy and angular distributions, the Sym3 system delivers unsurpassed vertical profiles for high aspect ratio 3D structures. The Centris Sym3 platform's six etch and two plasma clean process chambers feature system intelligence software to ensure that every process in every chamber matches precisely, enabling repeatability and high productivity for high-volume manufacturing.